I was out for lunch last week with a young couple and their 2½ year old. 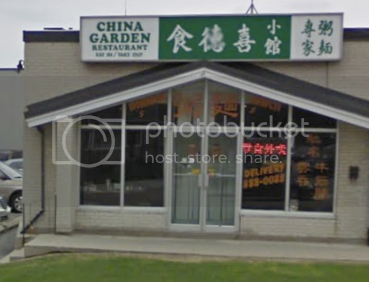 We decided to go to China Garden because I like their authentic Chinese food, great location and reasonable prices. The atmosphere is simple. The service is good enough, pretty fast. It’s kind of a traditional Chinese restaurant, you know what to expect, authentic. We had hot and sour soup, eggplant, steamed rice, beef in black bean sauce and a chicken dish. The bill came to less than $50. Everything was served up hot and delicious. The restaurant filled up quickly – they always do a great lunch business.